PROBLEM: Eliminates the slop in the pinwheel bearings! REMEDY: Reduces the occurrences of head-first pins! 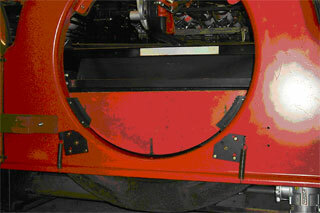 No more wear on the plows or apron and requires NO drilling or other major modifications! Keep your pinwheel running smoothly.